Google TV could eventually become popular as the default operating system for zillions of digital TV devices. Editor's note: This is another in a series of Business Insider commentaries debunking common tech myths. 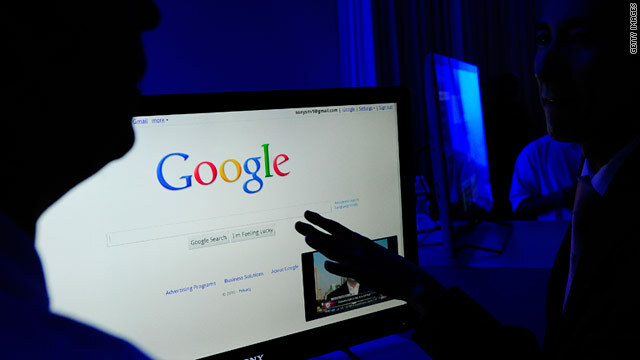 (CNN) -- Google TV is a flop so far. Consumers don't seem to care, the TV networks don't like it and most big gadget manufacturers haven't started selling it yet. But Google TV is not dead yet. This is the sort of product that -- like Android, Google's mobile phone operating system -- will likely take several years to succeed or fail. The digital living room is far from figured out -- even Apple failed on its first attempt -- and Google has a big incentive to try and make something work, so it can own the digital ad market on TV sets. The good news for Google is that the exact technique that Google used to make Android a big hit is the same way Google TV could eventually become popular: As the default operating system for zillions of digital TV devices. In fact, that's probably the ONLY way that Google TV could succeed. The bottom line is that TVs, set-top boxes, Blu-ray players, movie streaming boxes, game systems and Internet routers all need an operating system of some sort, whether it's Linux, something from Microsoft or Google TV. You can't have a computer without an operating system. So if Google can get a bunch of consumer electronics companies -- Sony and Logitech so far, but someday Toshiba, Samsung, LG, Vizio, etc. -- to make most or all of their TVs using the free Google TV operating system, then Google TV has a chance. Google needs to repeat the Android model for Google TV -- spray it everywhere. Here's what's holding it back. One of the big challenges for now is that Google TV requires more expensive hardware to power it than what goes into many TVs, including a special Intel chip. For consumer electronics companies, that means either lower margins than they get now, or higher-priced gadgets than what people probably want to pay for. As a result, we've heard that some gadget makers are skipping Google TV and just using Google Android as the basis for their software. It could require more engineering to get it right for a TV, but it runs on a bunch of different chipsets, and TV makers can customize it however they want. We've also heard that Google is generally OK with this, provided the devices can run some basic things, like standard Web video formats, so that things like YouTube and Google video ads can work. Consumers have certainly never bought these gadgets so far, when they were called WebTV, or any other Internet-on-your-TV system. The vast majority of video content is consumed over set-top boxes leased from cable and satellite companies, who have a tight grip on the market. More recently, Netflix has had some success with its movie streaming service, but that's available on basically every new gadget these days; there's no specific need to use Google TV to watch it. Because consumers don't care about Google TV, TV makers have no real incentive to support it. Instead, they can keep trying to crank out their own custom user interfaces and "own" the user experience, instead of handing it over to Google. So perhaps Google TV is just too far ahead of itself for now. But there is time, and it makes sense that the Internet will eventually play more of a role in the living room. And perhaps the TV divisions of LG and Samsung will eventually decide, like their colleagues in the mobile phone divisions, that there's no need to develop proprietary software platforms when a good alternative is available from Google. Then it's just a question of Google TV being good and cheap enough to justify using. So that's the opportunity for Google TV: It could either become the de facto operating system for consumer electronics and succeed as the Android for TVs and set-top boxes, or it could crash and burn. But either way, given how slow the TV business moves, we won't know for a while. The opinions expressed in this column are solely those of Dan Frommer. Copyright © 2011 Business Insider.